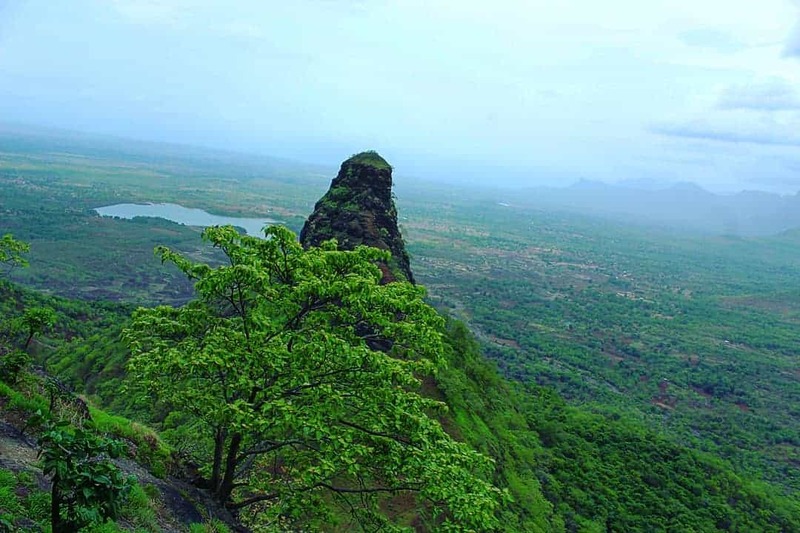 Gorakhgad fort trek is one of the best trails in Maharashtra that can be pursued in any season. However, during monsoons, when the sky begins to pour, Gorakhgad trek comes across as breathtakingly beautiful. Therefore, pursuing the magnificent Gorakhgad fort trek during monsoons will prove to be a good decision. The Gorakhgad fort trek is moderate in difficulty level and even a first-time will be able to complete it. The only thing to keep in mind is, to pursue the trek in a group. This way it is more fun and much safer. A sapping and treacherous trek, Gorakhgad might leave you tired but extremely satisfied. It gives you a feeling akin to what an army cadet feels after successfully accomplishing a feat. Before undertaking any trek, every enthusiast gauges it in terms of resources spent versus takeaways. In this regard, Gorakhgad will not disappoint you. We got it fairly tested during our extended trek session to Ahupe Ghat (Valley) and Gorakhgad Fort. 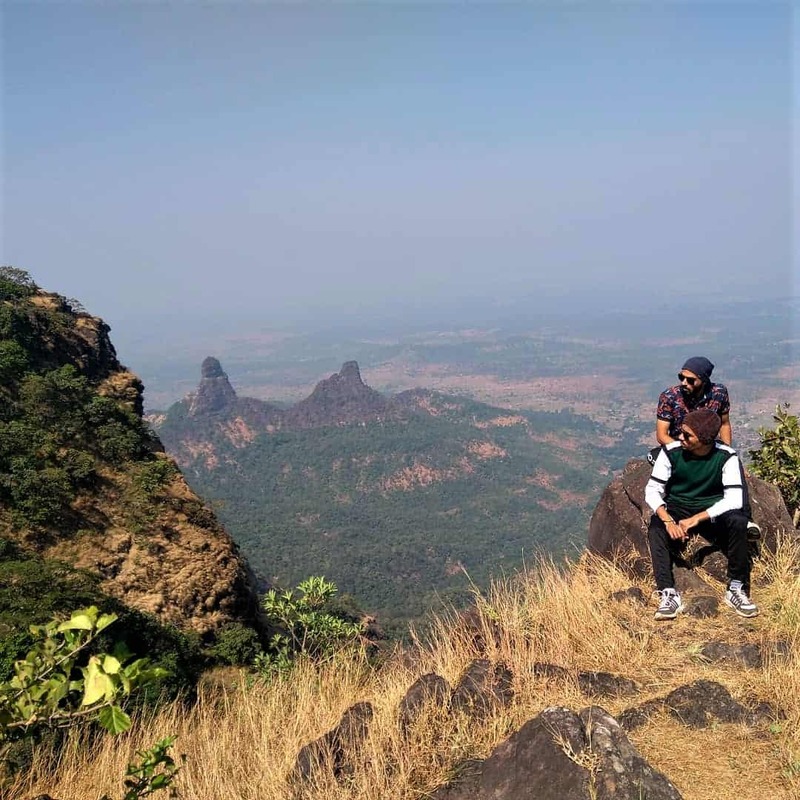 In the current blog, I will be sharing with you my recent experience of undertaking the Ahupe Ghat and Gorakhgad Fort trek. With important tips and suggestions, this blog will act as a travel guide for your trek. Before venturing deep into the details of the Gorakhgad Fort trek, it is extremely important that you know some essential facts. Spread across the western coast along from Gujarat till Tamil Nadu down south, Sahyadri hills have had political and historic importance. They served as a natural barrier to foreign aggression through the Arabian sea route. Having a good understanding of the terrains and using Guerrilla warfare, Charismatic King Shivaji of Maratha Empire was able to thwart attacks from Portuguese, British and the Mughal forces. 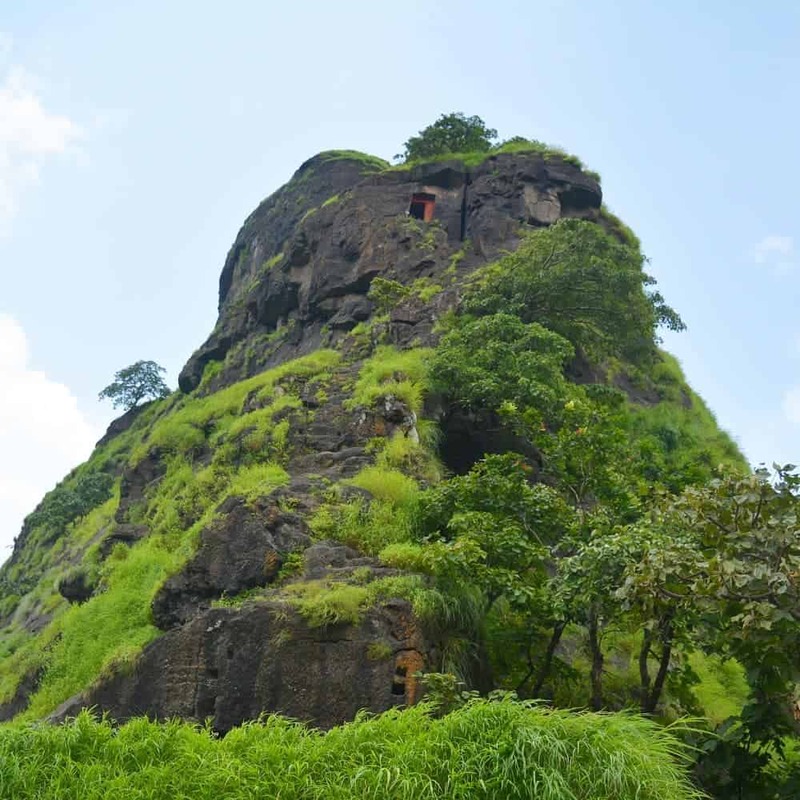 The Sahyadri hills house many famous forts such as Shivneri, Raigad, Torna, Rajgad, Purandar, etc. All these fort offers great insights into the Maratha empire. Although not much is known about Gorakhgad Fort, it is believed to be of importance during the reigns of Shahaji Raje. During the era of the mighty Shivaji, it served as a stopover point from Junnar via Naneghat. With no records of a battle being fought, this fort was significant from a surveillance point of view. 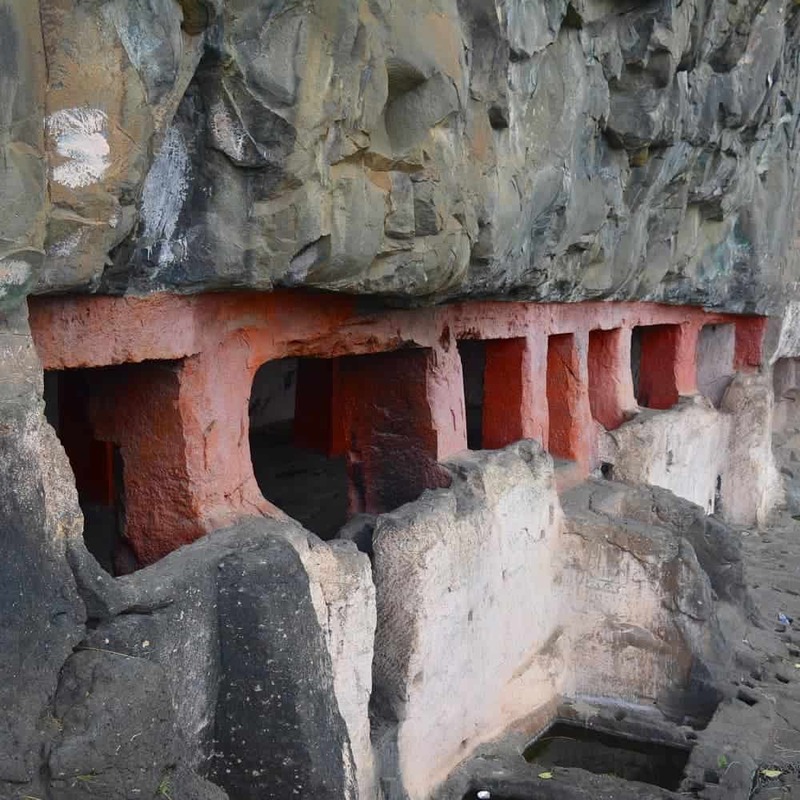 It offered a good view of the passes which were used for commercial purposes during Shivaji’s reign. The region has everything a nature lover and trekker would want. From a wide variety of flora and fauna to marvellous forts to adrenaline raising cliffs and great river origins, the region has a lot to offer. How to Reach Gorakhgad Fort? Gorakhgad fort is easily accessible from Mumbai and Pune. In order to pursue the Gorakhgad Fort trek, you must first reach the base village for the Trek. Dehari village is the closest to the Gorakhgad Fort trekking point. Khopiwali Village is the closest point for the Ahupe Ghat trek. If you wish to embark only on the Gorakhgad Fort Trek, you can choose Dehari as your base village. However, if you choose to undertake both, Ahupe Ghat trek and Gorakhgad trek, you can choose Khopiwali village as your base. Since our group decided to go for both the treks we chose Kopiwali village as our base camp. How to reach Khopiwali Village or Dehri? We travelled from Mumbai, therefore all the routes are given starting from Mumbai. If you are visiting from Pune, you need to reach Kalyan station first. From there follow the route as given below. Make sure to reach the base village till afternoon as limited public and private travel options (state transport buses and private vehicles) are available. We chose route 1 and reached Khopiwali village as we had planned to do both the treks. You can also choose the route 2 and reach Dehari village if you wish to do only the Gorakhgad Fort trek. As far as drinking water is concerned, carry 3-4 litres of water per person. Food is available at Khopiwali as well as Dehari village at a reasonable cost of 100 INR to 150 INR per person. The food is hygienic and typically includes rice, Jowar Roti, Zunka (Bengal gram delicacy) and Chutney. Although overnight stay is not required if you wish to go only to Gorakhgad. A lot of travellers start from Mumbai early morning, finish the trek and head back in the evening. However, if you wish to go for an early morning trek, you may choose to stay at Kalyan or Murbad or with locals at Khopiwlali or Dehari. Alternately if it’s a 2-day plan covering Ahupe valley and Gorakhgad, one can either stay with the locals at Khopiwali or Dehri village or stay at Gorakhnath temple at the base of Gorakhgad Fort. The entire length of the Ahupe Ghat and Gorakhgad Fort trek can be broken down into various stages. It can differ from person to person. We completed both the Ahupe Ghat trek and Gorahgad Fort trek on the same day. However, if you are a beginner you can choose to do only one of the treks in one day. On the first day you could do Ahupe Ghat Trek and next day you can pursue the Gorakhgad Fort Trek. I am enlisting all of the seven stages I along with my group undertook to embark on the trail starting at Ahupe ghat and ending at Gorakhgad. Although we went to both the treks, you can choose to go on either one of them. As a group, we normally go for one-day treks and that too on Saturdays. This gives the body sufficient time to recover on the next day i.e Sunday. This time, however, we decided to give a shot to an extended trek of a couple of days. We packed our bags in the morning and started our exhilarating journey of Ahupe Ghat and Gorakhgad Fort trek. The rain had just subsided and it was lush green all along the road. En-route we had some tasty Poha (A flattened rice dish relished for breakfast in the region) and hot ginger tea which got our belly full and set up the mood for the trek. Firstly, you get to know the rich history as well as current happenings about the region from the horse’s mouth i.e. the natives. This sort of information cannot be found even on Google. So, we made sure to bunk in overnight at Khopiwali and decided to start the trek the next morning. Early morning we started off towards the Ahupe Ghat trek. Although it tested our endurance, we had a really good time walking through the water streams, climbing through rugged terrains, clicking the pictures of beautiful landscape and finally enjoying some good home cooked food at the plateau. From the top, we could see an expanse of Sahyadris, Gorakhgad, Macchindragad. The view was magical and we felt like the hills were calling out to us. Macchindragad and Gorakhgad are also referred to as the twin peaks and have been named after two saints- Macchindranath and Gorakhnath. Macchindranath was the disciple of Saint Goraknath. Without wasting any time, we headed our way along the Gorakhgad Fort trek. 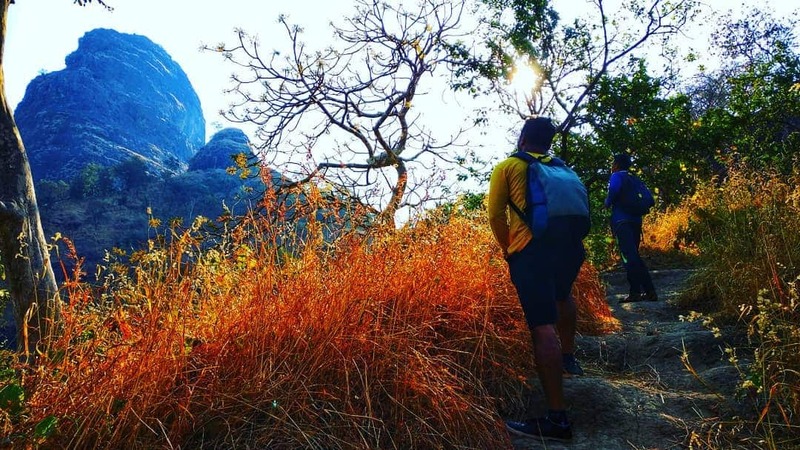 Considering the vastness and density of Sahyadri Hills, it is advisable that you take help of locals to trace the path in case you find yourself going off the path. Else, you will risk getting lost in the wilderness. On our Gorakhgad fort trek trail, a villager directed us towards a water stream. From the stream, there was a well-marked path that led to Gorakhgad. The Gorakhgad fort trek has a steep muddy and slippery path all along during the monsoons. Hence I would suggest you walk carefully and wear shoes with a good grip. Normally, as a group, we keep agile and fit members spread out in the formation. This balances the momentum of the team. You should try this too. Moving further the Gorakhgad fort trek, we took periodic energy conserving breaks. These are very essential to avoid muscle sprains. It took us approximately 90 minutes to reach the base of Gorakhgad. The temple of Saint Gorakshnath is located here. The temple area was neat and clean with a lovely baby goat enjoying the sunshine. Built by devotees from adjacent villages, this temple has an arrangement for food and stay for 30 to 40 people. It is managed by villagers who voluntarily work here. One of the priests visits here every Sunday and is a doctor by profession. He told us how their group worked to bring water from almost 100 meters away to the temple using the scientific principle of gravity. Also, he elaborated about how they persuaded the villagers to stop the brutal tradition of animal sacrifice. The adorable baby goat we saw earlier was one of the innocent lives that was saved. After having a quick snack of hot masala noodles and playing with the baby goat for a while, we headed towards the peak. It‘s a reasonably easy walk of about 20-25 minutes until the start of the rocky part of the hill. At this point, one can find a small temple and a signboard briefing about the rich history of the Gorakghad fort. Most of the forts in Maharashtra have signboards like this which highlight the history of the place. We took a couple of pictures and moved to climb the rock patch. The initial part is steep and requires manoeuvring. Harness for the ropes is provided in case you are carrying any. Not to mention, we forgot to carry ropes and had to manage it with each other’s support. Post that there are steps itched in the rock till the entrance of the fort which is painted in bright orange. Further steps which are an easy climb lead to the cave. Now having walked for almost 3 hours we decided to rest our bodies before attempting the final hike to the zenith. Sitting at the edge of the cave I observed the grandness of the cliff. The view from here was mesmerizing. I could see the Western Ghats and Machindragad fort standing tall, covered by a dense green forest. As the wind blew, we could not take our eyes off Machindragad which looked like a small replica of Gorakhgad. 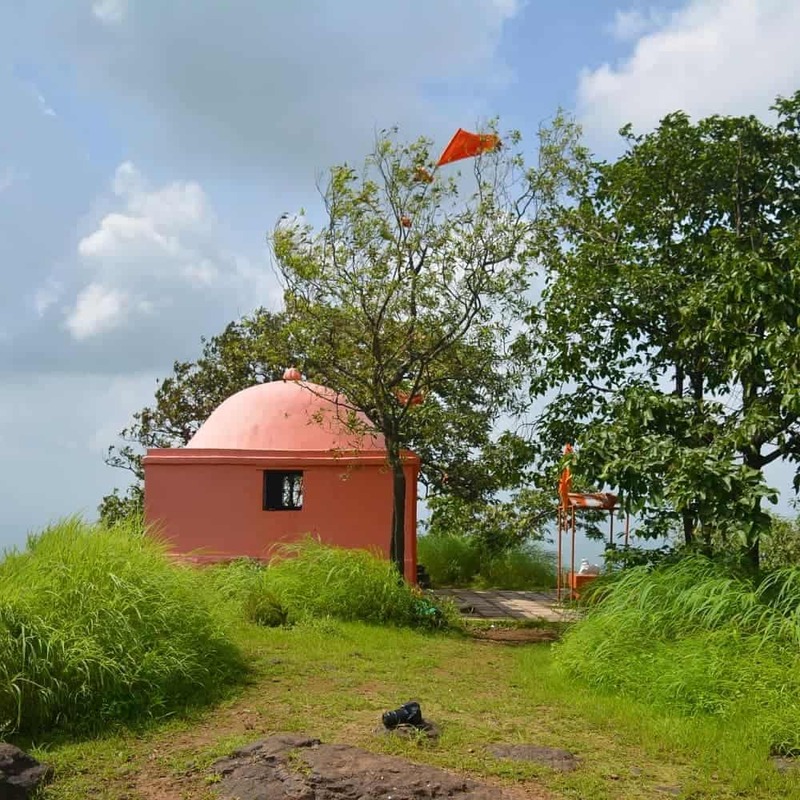 Although there is a pass which connects both these forts – Macchindragad and Gorakhgad, due to erosion and growth of jungle, it’s very difficult to reach Macchindragad. Hence, almost all trekkers pursue the Gorakhgad Fort trek only. The journey on the Gorakhgad Fort trek further up is not meant for those suffering from acrophobia and vertigo. There is no proper route or steps here. Additional the strong winds make it even tougher to focus on the task at hand. An individual with a strong mind and nimble on foot should think of going to the top. During monsoons, it becomes extra slippery and difficult. Any wrong landing can cause a fall of over 1000 feet down the valley. This dangerous trail on the Gorakhgad Fort Trek reminded us of our previous trek of Harihargad which looked pretty docile now in front of this challenge. A couple of our team members who undoubtedly are the fittest amongst us decided to give take the challenge of Gorakhgad Fort trek a notch up. They went from beside the cave and started with a rocky patch which had few notches to hold onto. They climbed the top from here. Once you accomplish this part comes a steep rock patch with small steps which leads to the top. Once you reach the top, you see a small temple with a Nandi Idol, a Shivling and few photographs of Hindu gods. Here we saw a few other trekkers coming up. While chatting with them we discussed that apart from physical fitness, mental toughness is also needed for such treks. We enjoyed the grand view of massive Sahyadri ghat and Ahupe valley extending till Bhimashankar, Naneghat. As we explored the place, we came across several other smaller caves. We also saw almost half a dozen water cisterns but none were filled with potable water. Having witnessed the slippery paths and steep rocks, we knew that descend won’t be that easy. Hence we followed the same strategy of mixing best with the rest. It helps to subside risk for injury. We finally reached the base of the Fort where the temple is located. On reaching the base temple we had some herbal tea and Prasad (holy Hindu food offering) comprising of Rice, Dal ( lentils curry) and Curry. Mind you it was amazing. Who says Sattvic food (vegetarian meal) can’t tasty? After finishing Aarti (Hindu ritual) and offering our prayers we headed to the base. It was already 5 pm and we needed to rush as it would get dark soon. The descend didn’t take us more than 90-100 minutes and by 6. 30 pm we were at the base of the fort. We located a water stream and straight away jumped into. Nothing matches a good water therapy in curing your tiredness. We had seen villagers washing there clothes in morning and hence knew its safe to get in the waters. One should exercise extreme caution before venturing into unknown waters as it might be home to reptiles and other harmful creatures.When we were satisfied and felt totally relaxed, we moved on to the village base where we had put up. We were already hungry and had requested our host to keep dinned ready. It was a great dinner. Being a foodie nothing matches home cooked food made in village style – Jowar roti with Zunka (Bengal gram delicacy) with spicy peanut chutney (Indian dip). It felt like heaven. We had brought groceries with us in case we needed to cook. Since we had got such wonderful hosts tha treated us with great warmth, we didn’t use much of it. We quickly handed it over to our hosts, distributed chocolates among kids and departed back home the next morning. We were beaming with confidence and pride of having achieved two stepping stones (Ahupe valley and Gorakhgad). Sahaydris teach you to focus on the present task, use resources well, keep your mind steady is a difficult situation. That’s what you need to handle any problem. Isn’t it? Ideally, visit in a group of 5+ participants. People having acrophobia should exercise caution. Do not smoke or consume alcohol before or during the trek. Do not venture in water bodies en-route. Care for the environment. Dispose the trash properly. Do not litter. The Gokarkhgad fort trek brought in me a new sense of confidence and helped me learn the intricacies of nature. It will do the same to you as well. Embark on this adventure and witness nature’s true beauty amidst the lush green forests. 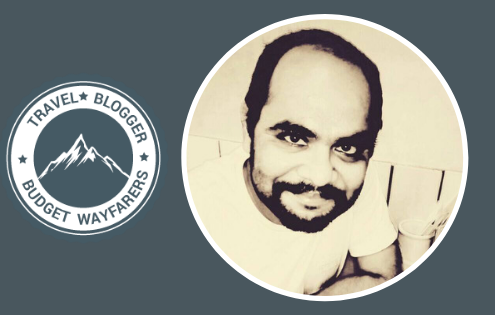 Vinay Khobre is a management professional, based out of Mumbai. As a travel enthusiast and avid trekker, he often takes solo as well as group treks and expeditions. Being a foodie, he tries to explore unique delicacies. He firmly believes that exposure to different cultures develops a person very well. An ideal day for him is to walk through unknown by lanes of the city looking for something new or go for a bike ride to a calm serene place. Cultural heritage and historical importance of the place amuses him and he makes sure to get as many insights as possible. He wishes to explore all the continents someday. 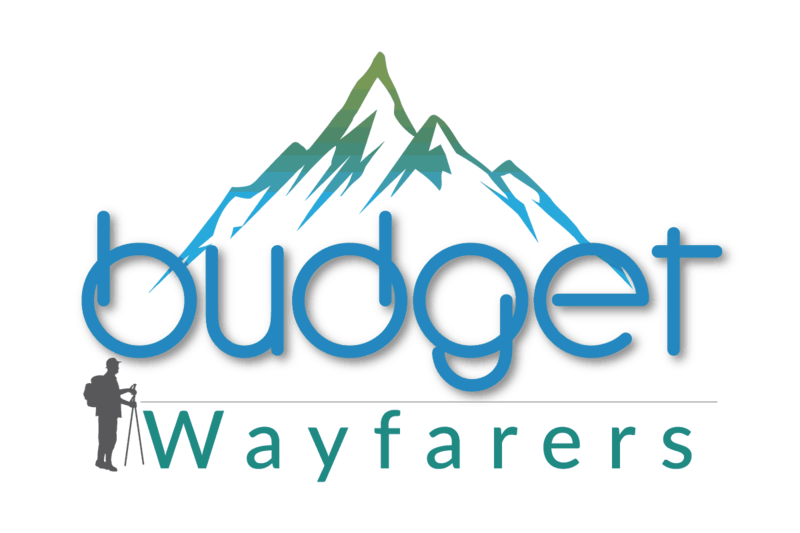 THIS POST ENTITLED, “GORAKHGAD FORT TREK: ONE OF THE BEST TRAILS TO PURSUE DURING MONSOONS” IS AN EXCLUSIVE PROPERTY OF BUDGET WAYFARERS. ANY INDIVIDUAL OR ASSOCIATION INDULGING IN PLAGIARISM WILL BE DEALT WITH STRICTLY. IF YOU WANT TO USE INFORMATION FROM THE ARTICLE ABOVE, KINDLY QUOTE THE SOURCE.